With only 51 days left until TNW Conference, things are ramping up here at the office. We had sweatpants day on Friday so we could get things done in ultimate comfort, and it would have been wonderful – but I forgot and showed up in jeans. I’m still annoyed with myself. Even though I missed out, I think it’s great that TNW strives to have a positive impact on our culture and happiness. I’m really lucky to enjoy a lot of perks here, to the point where I joke that I’m ruined for any other company. But we’re seeing a big shift in the workplace, where more and more companies are putting employees first. In the future, I’m expecting the benefits I enjoy to be the universal norm. This leads us to today’s TNW2019 Daily topic! There are so many ways that our offices and companies will change over the next few years, and it’s a lot of fun to talk about. 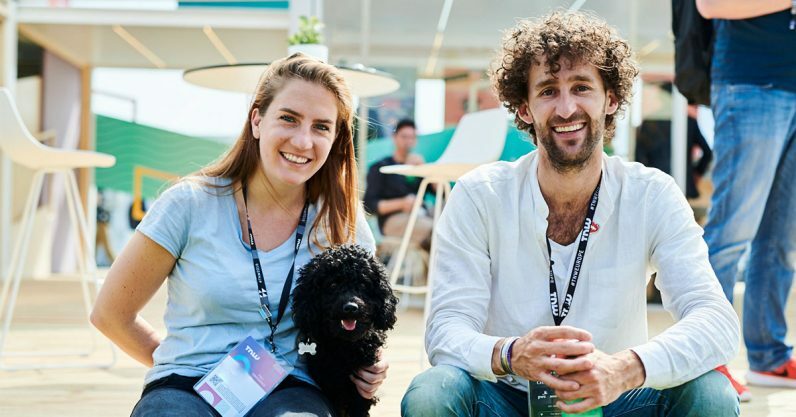 That’s why we’ve partnered with Heidrick and Struggles for the Future of Work track at TNW2019. Let me tell you all about it. A few years ago, a company was not cool unless it offered bean bags and ping pong tables. Now, almost every startup has adopted them. TNW is no exception (bean bags are so comfy and I never want to get up) but it’s no longer enough to just offer these things; they’ve gone from perks to basic requirements. This progression is what will happen again and again in the future – whatever innovative policies companies introduce now will set the benchmark in a few years, and we’ll constantly evolve and reiterate what it means to work. This is super exciting for several reasons. First, I am all for companies looking to keep me and my colleagues happy. But more importantly, this means that we can be a part of the conversation and help decide the future of work. At TNW2019, we’ll hear keynotes from thought leaders and discuss our visions together. Hear from Ali Rayl, Vice President of Customer Experience at Slack, as well as Wybo Wijnbergen, WeWork’s General Manager for Northern Europe, and David Allen, author of Getting Things Done. So if you’re curious about when, where, and how we’ll work in the future, don’t miss it. We’ll be taking a deep dive into the next decade of office spaces, company cultures, and policies. It’s going to be great, because I’ll have plenty of material to bring back to the HR department and demand they implement. Any company worth their salt is using Slack these days. It’s radically improved the way we communicate at work, and will continue to do so as it grows. That’s why I’m looking forward to hearing what’s in store for Slack from Ali Rayl, the company’s Vice President of Customer Experience. Ali is essentially responsible for making the working lives of Slack’s users simpler and more productive. She’s been at Slack since the beginning, and her team has worked endlessly to make the platform as easy to use as possible. Now, she’s ensuring that Slack will continue to be the go-to tool for companies as we progress into the future of work. Want to find out what that’ll look like? Don’t miss her speak at TNW2019. That’s a wrap on today’s TNW2019 Daily! I’ll be back tomorrow with more TNW Conference highlights – make sure to catch up on previous editions in the meantime, so you don’t miss me too much.